Ever been in a situation where you lost all your work and personal data, all because your computer got spoilt or lost? At that moment, you start to sing the shoulda-woulda-coulda song, wishing you had a backup for it all. To avoid repetition of this scenario, the external hard drive is here to save the day. It is a portable storage device enclosed in its own case and works by plugging into your computer or phone. Their main purpose is to increase your storage capacity and are thus designed to have more capacities than usual storage devices. They have high storage capacities of as high as 1TB, to hold as much data as you want. With their high storage capacity and the advantage that they are not in your system but a device of their own, they serve as the perfect emergency backup plan. They are very portable and lightweight, and can go everywhere your laptop cannot go to. Using an external drive as also been known to speed up the performance of laptops with slower internal drives. It doesn't just stop at buying any hard disk, you need to buy the best essential for your needs. If its primary purpose is to hold work and professional data, you would settle for one with larger storage size and durability. 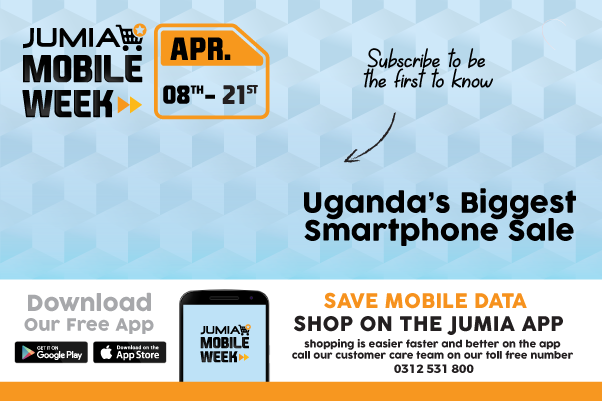 Jumia, as your number one online retail store in Uganda, offers you authentic backup devices all at the most affordable prices.